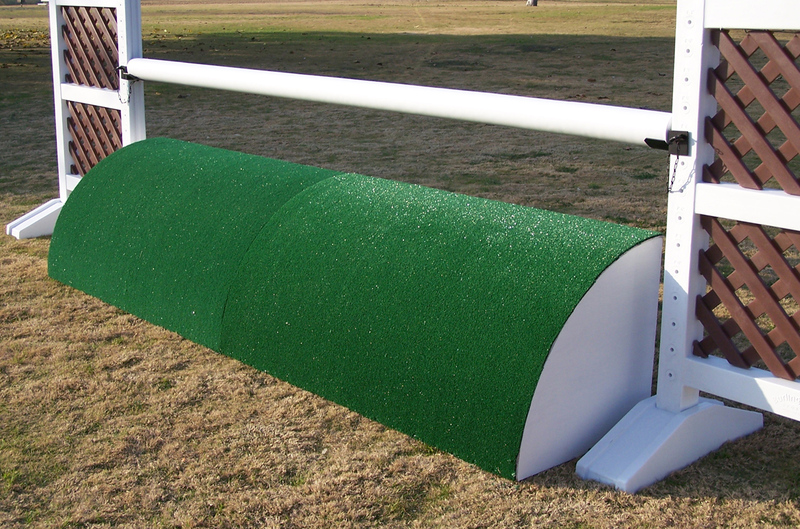 Arena Supplies has a variety of Horse Jumps for sale that are made for durability and safety. Choose among our Completed Jumps that come with everything shown or build your own jumps by mixing any components available. Different options will by priced accordingly. Our Jump Standards are sold in pairs and come in different colors and styles. If you want a more natural looking Jump Course check out our birch, rock, and log standards that look like the real thing. Make your Horse Show Jumps more attractive with Jump Fillers. 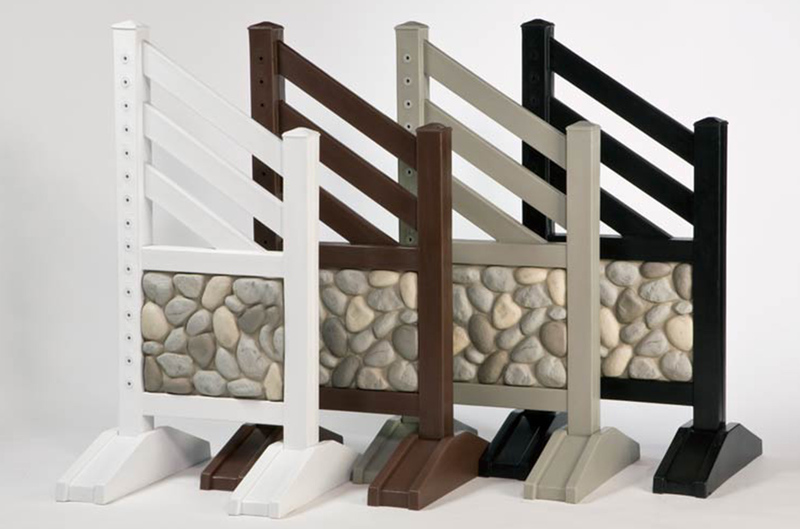 They are designed to add style and interest to your Jump Course. The Horse Jump Poles are made from quality materials that ensure elasticity. 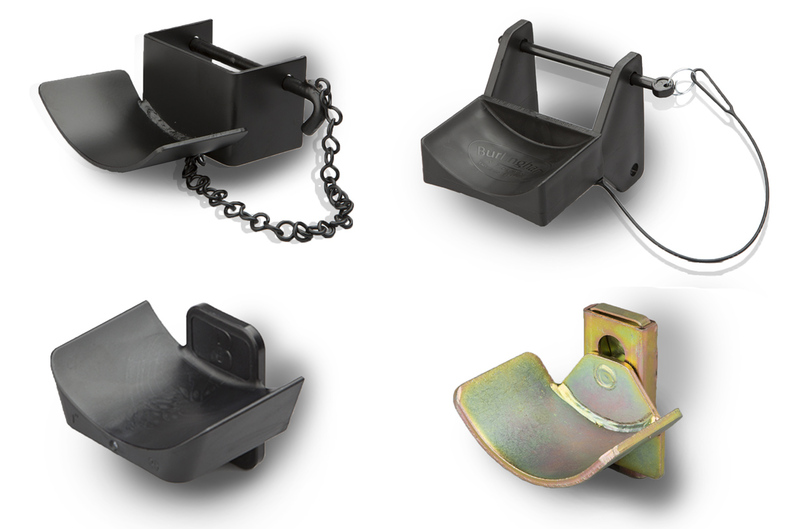 We have a full line of accessories and training obstacles for everyday use. To meet your specific needs, we have combined popular jumps into Jump Packages at a discounted price. Pick the desired colors and add beautiful décor. Our unique jump standards are sold in pairs, come in a variety of styles, and are ideal for horse show jumps and events. We also offer the complete Burlingham Sports jump lines. Improve your Jump Courses with attractive Jump Fillers. Add color, rock sets, jump gates, logs, flower boxes, and other elements to create personalized Horse Jumps. Great for indoor or outdoor use, Jump Poles are built to last for many years. 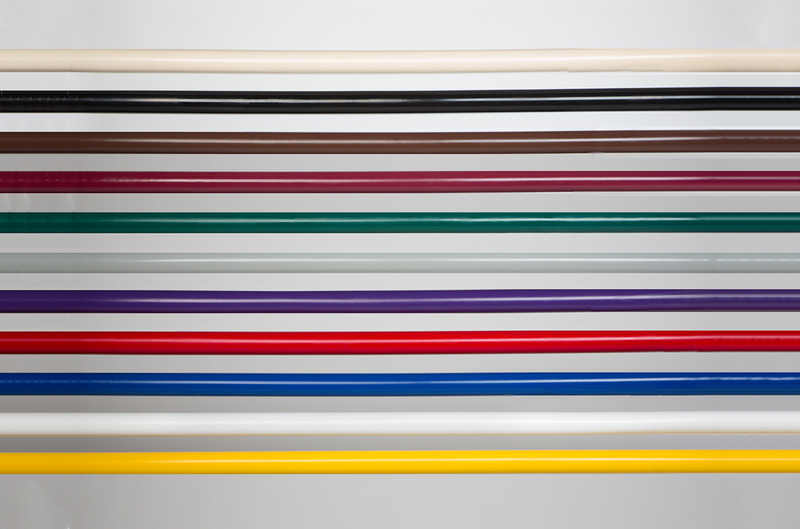 Add color to your Jumps with 10ft or 12ft Poles. Solid colors and stripes are available. We offer Horse Jump Accessories and obstacles for horse training. 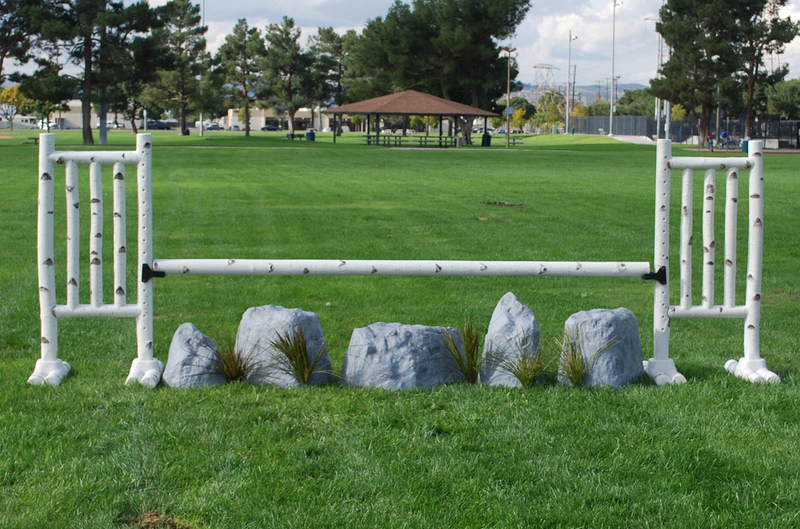 Make your jumper course more attractive and challenging with jump cups, pinless tracks, and cross-country adjustable logs for jumping. All complete jump packages are available at a discounted price. These include jump standards, jump poles, jump cups, and décor. Customize each jump to match your theme.